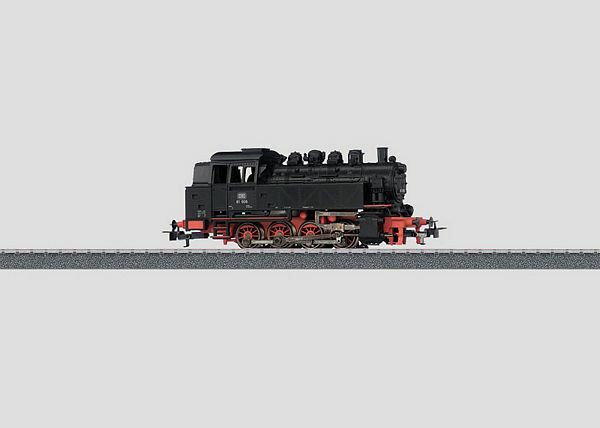 Prototype: Marklin 36321 German Federal Railroad DB class 81 heavy switch engine. Model: The locomotive has a digital decoder. 4 axles powered. Traction tires. The locomotive has Relex couplers in NEM pockets. The triple headlights change over with the direction of travel, will work in conventional operation, and can be controlled digitally. Length over the buffers 12.8 cm / 5". Please continue checking back, pricing and availability are subject to change. Additional information will be amended when it becomes available. Thank you. Por favor, continue revise de nuevo, precios y disponibilidad estan sujetos a cambios. Informacion adicional se modificara cuando este disponible. Gracias.